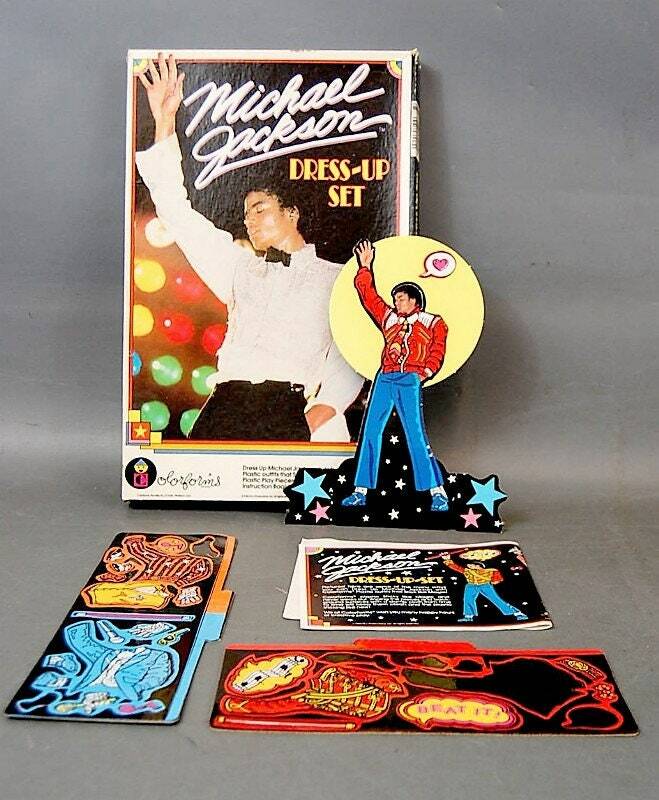 1984 Colorforms Michael Jackson complete in original box. 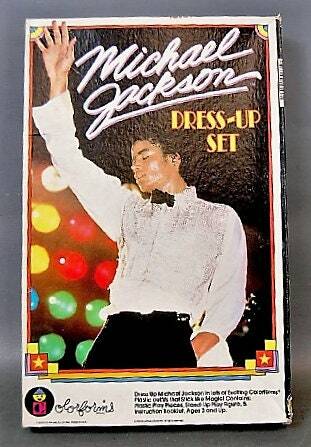 You too can play dress up with the King of Pop. Fabulous condition, box has a bit of shelf wear. 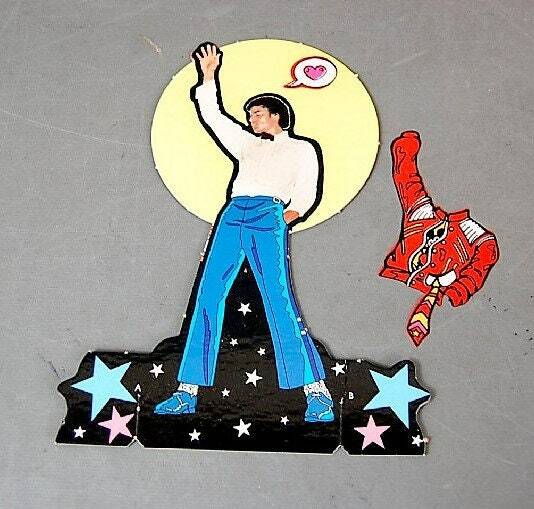 Beat it! Thriller jacket! 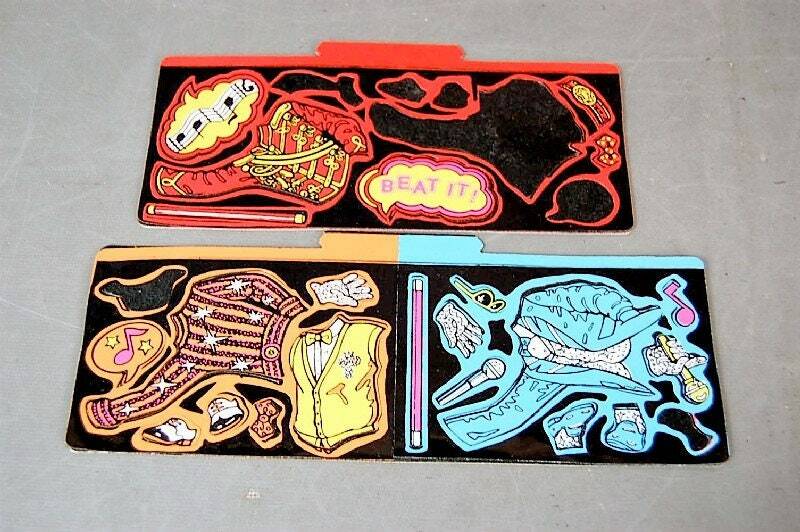 Two of the three outfits remain on card. Part of the Thriller outfit is off card but present (he's wearing it in the pix). Very bespoke of 1984! 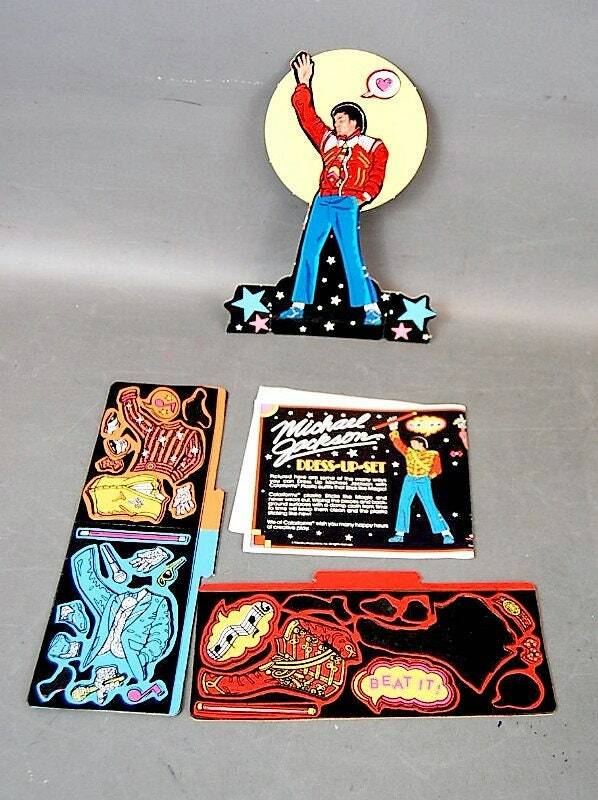 And thinking back on this, I now wonder, did they do any other Jackson colorforms? How cool would it be to have a Mahalia Jackson colorform. Preach on sister!